Mr. Nikhil Singh, a Delhite, has lately bought a new car. Mr.Singh has been contemplating buying a car for a long time. Now he is on the verge of retirement and his sons are well-settled. So, he thought this is the best time to purchase a car to enjoy his life after retirement in style. He bought a gorgeous looking red 5 seater Maruti ALTO 800 that runs on petrol with a cubic capacity of 796. Mr. Sharma is well-aware of the fact that he won’t be able to drive his new car as long as the car is not insured from the mandatory third-party liability. However, Mr. Sharma was not really thinking of only third party cover as he was also apprehensive of the well-being of his own car. Being a practical man he could foresee that any damage or loss to his own car will be difficult to afford as his retirement is imminent as well. That is why he chose to go for a comprehensive policy for his brand new Maruti Alto 800. Being an internet savvy person he was aware of the existence of insurance comparison portals such GIBL that let prospective policy buyers compare policy quotes as per their requirement and buy the best policy from the portal itself. So, Mr. Sharma visited the portal of GIBL and submitted details of his car and his personal information. He found 15 results as per his criteria, however, most of the policies were with one or two downsides. Mr. Singh found only 3 policies that look perfect in all aspects. Here are the top 3 comprehensive motor policy quotes for a 5 seater Maruti Alto 800 LX, Petrol with a cubic capacity of 796. Although these policies have all the beneficial features, but Mr. Singh has found the premium amounts are a bit higher than his affordability. He was looking for ways to reduce the premium amount for the package plan for his plan. The voluntary deduction is a beneficial feature in motor insurance in India for those who want to have their premium reduced. This type of deductible amounts is determined by policy holders and they are supposed to pay that amount at the time of a claim. It is a sort of pact in which insured people agree to pay out a particular sum for every claim they make. When Mr. Singh came across this avenue of reducing premium he used it to good effect. He decided to go for this type of deduction and compared premium amount after placing a voluntary deductible amount to see the difference in premiums. There are four options available for deductibles on the portal of GIBL. The higher one goes, the less will be one’s car insurance premium. Mr. Singh opted for Rs. 5000 deductible amount keeping all other information same. He found the previous 3 insurers are in the top positions again with much- reduced premium amount. Here is the comparison of premium after opting for Rs. 5,000 as voluntary deduction. Now if he wanted to go for Future Generali vehicle insurance plan he could save as much as Rs 3990 (Rs. 11837 – Rs. 7847).In a nutshell, voluntary deduction helped Mr. Singh save around Rs. 4000 per year in his car insurance premium. By opting for voluntary deduction Mr. Singh also has brighten his chances of getting No Claim Bonus as well. And, every claim-free policy year would have his premium amount even more reduced as well. After having reduced premium amount by opting for a voluntary deduction Mr. Singh kept on looking for other ways of minimizing the premium even more. One of his sons also has bought a car recently and he advised Mr. Singh to install IRAI approved anti-theft devices inside his brand new Maruti Alto 800. Mr. Singh was not aware of such devices so he did some research on the internet and came up with following information. Anti-theft devices are instruments that safeguard vehicles from being stolen. According to insurers policyholders that have installed anti-theft instruments in their cars are responsible. So, these car-owners receive concession on their comprehensive car insurance premium. As the number of vehicles with such devices installed increases, the number of claim decreases. Insurers gain more profit when there are less number of claims. That’s why they boost car-owners to fit such devices in their vehicles by offering them discount on premium. Usually there is a 2.5% discount up to Rs. 500 on offer by insurers for installing ARAI approved protective devices. However, the installation must be validated by any one of the four Automobile Associations in India. There are some brands that are approved by ARAI such as AutoCop, Xenos and Nippon, however, policyholders should keep a close eye on these products to confirm that. Mr. Singh installed anti-theft devices in his Maruti Alto 800 in order to decrease policy premiums. And, when he again started to compare policy quotes he did check the box for ‘discount for anti-theft device’. Finally, the quotes he received were even lessened than the previous amount. Here is a table of policy comparison when he opted for discount for anti-theft device. So, installation of anti-theft devices helped Mr.Singh save some more on premium. Now if he ant to avail the plan offered by Future Generali he can save another Rs. 250 (Rs. 7847 – Rs. 7597) from the already reduced amount. In essence, Mr. Singh has managed to save significant amount of money in premium for the comprehensive policy for his car. Initially, the lowest premium was offered by Future Generali and the amount was Rs. 11,837. Now that figure has come down to Rs. 7,597. In total he saved Rs. 4,240(Rs. 11837 – Rs. 7597) which is not a negligible amount, especially for a person who is on the verge of retirement. Is there any further way of lowering the premium amount? Well, for Mr. Singh, maybe there is no other provision to decrease the premium amount. But, some others can lessen their premium amount even more. There are still 3 more ways to save on premiums. If the policyholders are associated with those occupations that are specified by insurers they are entitled to get an additional discount on their vehicle policy premium. Government employees, teachers, military personnel, doctors and chartered accountants usually fall under this category. Those who are members of any of the four recognized motor associations such as the Automobile Association of Upper India, Western India Automobile Association, Automobile Association of Eastern India and Automobile Association of Southern India are also entitled to a discount up to a maximum of Rs. 500. Insured people just have to submit the name of the association and Membership number along with the expiry date of their membership. Yes, the marital status of the policyholder also comes into the consideration of insurers. People those who are married and aging between 32 and 60 are eligible for discounts as they are perceived as responsible drivers. Policyholders can submit their date of birth to see whether they qualify for discounts or not. 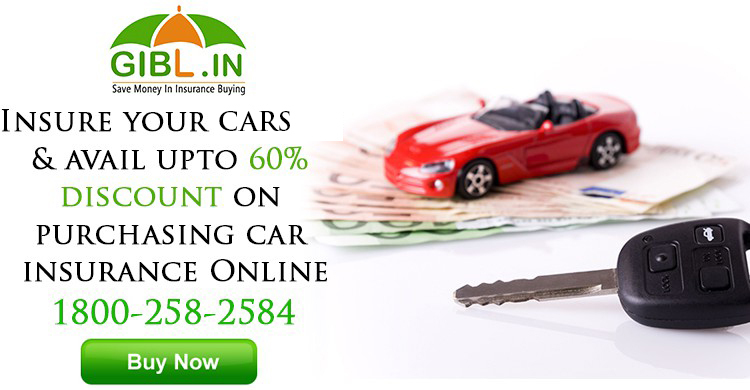 Location also plays a role in determining the premium amount for comprehensive vehicle insurance policy. As per The Indian Motor Tariff Act, all cities in India are classified in two separate zones. Zone A consists of busiest cities like Ahmedabad, Chennai, Hyderabad, Bangalore, Mumbai, Kolkata, Pune and New Delhi which are more prone to accident. The rest of India comes under Zone B. Motor insurance, particularly the third party liability insurance is a must in India, although it doesn’t cover the expenses for damages or losses to insure person’s vehicle is not covered under this plan. Therefore, policy buyers should look for comprehensive plans that provide coverage for both third party and policyholders. However, the premium rate for a comprehensive or package policy is higher than the premiums for a third-party cover. But there are many ways to reduce high premium rates. Hopefully, the instance of Mr. Singh will help many other car-owners in India save on premium. Although Mr. Singh couldn’t avail all the possible ways, but some other owners of private cars in India surely will. Feel free to make comments and let us know about your experiences while calculating premiums for your comprehensive vehicle insurance plan.